Thie Day in History: Kurt Vonnegut Jr.
Science fiction writer Ray Bradbury has finally overcome his longstanding aversion to digital books and authorized an ebook edition of his most famous novel, FAHRENHEIT 451, which Simon & Schuster released Tuesday. The ebook deal comes as part of a new publishing agreement brokered by Bradbury's agent Michael Congdon with S&S that includes all English-language print and digital formats of FAHRENHEIT 451 in North America, and also includes English-language mass-market rights in North America to Bradbury's THE MARTIAN CHRONICLES and THE ILLUSTRATED MAN, both of which will be reissued in March. The ebook edition of FAHRENHEIT, originally published in 1953, will be priced at $9.99. "It's a rare and wonderful opportunity to continue our relationship with this beloved and canonical author and to bring his work s to new a generation of readers and in new formats" said publisher Jonathan Karp in the announcement. "We are honored to be the champion of these classic works." In a telephone interview, Congdon explained that there was an "opportunity to make a new license" for the rights to FAHRENHEIT 451 (Ballantine published the original hardcover edition, while S&S had published the paperback from 1962 onwards) and there was "no way to make new license with anyone that didn't include ebook rights." 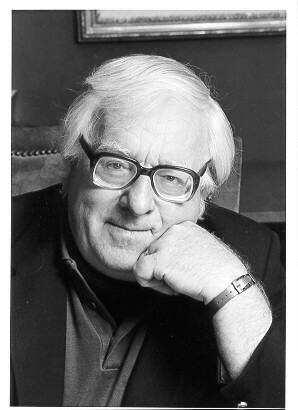 The agency then approached Bradbury and explained that any new deal involving the rights to FAHRENHEIT 451 could not go forward without digital rights as part of the package, and "he was willing to go ahead and sign the contract," Congdon said. While Congdon wouldn't comment on specifics, he says the deal was for "a very significant sum of money." S&S was one of six interested parties who had the chance to bid on the new rights package, "all of whom had, one way or another, some relationship with Ray. If there was a way to grant rights to all six publishers, we would have. But you can't. There's a great deal of admiration for Ray in the publishing industry, which made our job a lot easier." Congdon said there may be ebook editions of THE MARTIAN CHRONICLES and THE ILLUSTRATED MAN, but they are under an existing license with HarperCollins, which has so far "honored Ray's decision not to have ebook editions." With FAHRENHEIT's ebook publication, Congdon acknowledged "a door has obviously been opened" for HarperCollins. Guru Deepak Chopra has become the highest-profile author yet to sign book deal with Amazon. The self-help author has found yet another key to spiritual enlightenment: become the latest in a string of big name authors to sign a deal for megabucks with Amazon.com. Amazon has moved aggressively into publishing over the last year, signing major writers including bestselling self-help author Timothy Ferriss and actress and director Penny Marshall – the Marshall deal for $800,000 (£500,000), according to reports – and launching a phalanx of new imprints covering everything from romance to science fiction, each move a further blow to an increasingly nervous community of traditional publishers. This summer it hired former chief executive of the Time Warner Book Group Larry Kirshbaum to run its New York imprint, and Kirshbaum has now clinched a deal for a memoir from Chopra, author of bestselling self-help titles ranging from The Ultimate Happiness Prescription: 7 Keys to Joy and Enlightenment to The Seven Spiritual Laws of Success. Sold for a sum reported to be higher than $500,000, Chopra and his medical professor brother Sanjiv Chopra's Brotherhood: A Tale of Faith, Big Dreams and the Power of Persistence will tell how the pair arrived in the US in the 70s with no money, looking at how they fulfilled their dreams today. Literary agent Robert Gottlieb, who negotiated the deal, called it "a game-changer for the publishing industry". Sharing a birth date with another of the world's most popular literary figures, Fyodor Dostoevsky, is an American pop icon, Kurt Vonnegut Jr. Born in Indianapolis, Indiana, on November 11, 1922, Vonnegut was the youngest of the three children of Edith and Kurt Vonnegut. He is the author of numerous novels, including Cat's Cradle (1963), Hocus Pocus (1990), and Timequake (1997). Vonnegut's family is of German descent, and both of his parents spoke German in their home, although they refused to teach the language to their son. Vonnegut was born at a time after World War I when many Americans still considered Germany to be evil. Vonnegut said, "[My parents] volunteered to make me ignorant and rootless as proof of their patriotism." Vonnegut's vision of the fantastic as it occurs in everyday life was influenced by a series of tragic events as a young man. His mother committed suicide on Mother's Day in 1944 while Vonnegut was home on leave. He survived the bombing of Dresden, which killed nearly everyone else. He lost his sister, Alice, to cancer within hours of her husband's death in a train crash. As a result, Vonnegut’s fiction shows an author struggling to cope within a world of tragicomic disparities, a universe that defies plausibility, and whose absurdity becomes food for reality. When Vonnegut completed high school, his father forced him to go to college to study biochemistry against his son’s will. Vonnegut wanted to be a journalist. He said, "[College] was a boozy dream, partly because of booze itself, and partly because I was enrolled exclusively in courses I had no talent for." Before long, he found himself failing most of his classes when providence struck. Japan bombed Pearl Harbor, offering Vonnegut the perfect opportunity to escape school and join the military. In December 1944, Vonnegut was captured by the Germans at the Battle of the Bulge. He was imprisoned in a slaughterhouse in Dresden, Germany, and forced to work in a factory that manufactured food supplements for pregnant women. Allied bombers attacked the city on the night of February 13, 1945, setting off a firestorm that burned up the oxygen and killed nearly all of the city’s residents within hours. Vonnegut and his fellow prisoners survived because they slept in a meat locker three stories belowground. When they went outside the following morning, they found themselves among few people left alive in a city that had burned to the ground. Following the war, Vonnegut began publishing fiction about the dangers of technology, but since his work contained elements of fantasy, he was quickly labeled a science fiction writer, and his works were not taken seriously. He said, "I have been a sore-headed occupant of a file drawer labeled 'Science Fiction'...and I would like out, particularly since so many serious critics regularly mistake the drawer for a urinal." It’s easy to understand the sci-fi label. Vonnegut’s first published novel, Player Piano, depicts a fictional city called Ilium in which the people have surrendered all control of their lives to a computer named, ironically enough, EPICAC, after a substance that induces vomiting. The Sirens of Titan (1959) takes place on several different planets, including a thoroughly militarized Mars, where the inhabitants are controlled electronically. Although obvious sci-fi venues, the super-real settings of Vonneguts fictional worlds serve primarily as a metaphor for modern society, which Vonnegut views as absurd to the point of being surreal, as well as a world peopled by the hapless human beings who struggle against both their environments and themselves. In Player Piano, the protagonist, Dr. Paul Proteus, revolts against the vacuous emotions of a society in which the people, freed from the need to perform any meaningless work, lose all sense of purpose. Proteus joins an underground movement dedicated to overthrowing the computer-run government and takes part in a failed revolution. Although he is imprisoned at the end of the novel, he has triumphed in regaining his humanity. In God Bless You, Mr. Rosewater; or, Pearls before Swine (1965), Vonnegut introduces one of his most endearing characters in Eliot Rosewater, a philanthropic but ineffectual man who tries to use an inherited fortune for the good of humanity. He soon learns, though, that his generosity, his concern for humanity, and his attempts to reach out to his fellow human beings are looked at as madness by a money-conscious society. The novel takes pot shots at everyone, including organized religion, suggesting that the keepers of the faiths use religious doctrine to justify and maintain their power over others. While writing these early books, Vonnegut kept trying to work on a novel about the bombing of Dresden. Finally, in 1967, he published Slaughterhouse-Five (1969) about a man named Billy Pilgrim who experiences the bombing of Dresden and loses his mind, thinking that he has been transported to a planet where time no longer exists. Vonnegut said, "[I knew] after I finished Slaughterhouse-Five that I didn't have to write at all anymore if I didn't want to...I suppose that flowers, when they're through blooming, have some sort of awareness of some purpose having been served." Slaughterhouse-Five was published at the height of the War in Vietnam, and antiwar protestors saw the author as a hero and a powerful spokesperson. Vonnegut called the work an anti-war book, although he downplayed its influence on society, saying, "Anti-war books are as likely to stop war as anti-glacier books are to stop glaciers." He has since become one of the most popular guest lecturers at universities across the country. Kurt Vonnegut said, "We would be a lot safer if the government would take its money out of science and put it into astrology and the reading of palms...only in superstition is there hope. If you want to become a friend of civilization, then become an enemy of the truth and a fanatic for harmless balderdash." Vonnegut suffered irreversible brain injuries following a fall at his home and died in Manhattan on April 11, 2007.